King-of-Saxony Bird-of-Paradise bouncing on a vine. 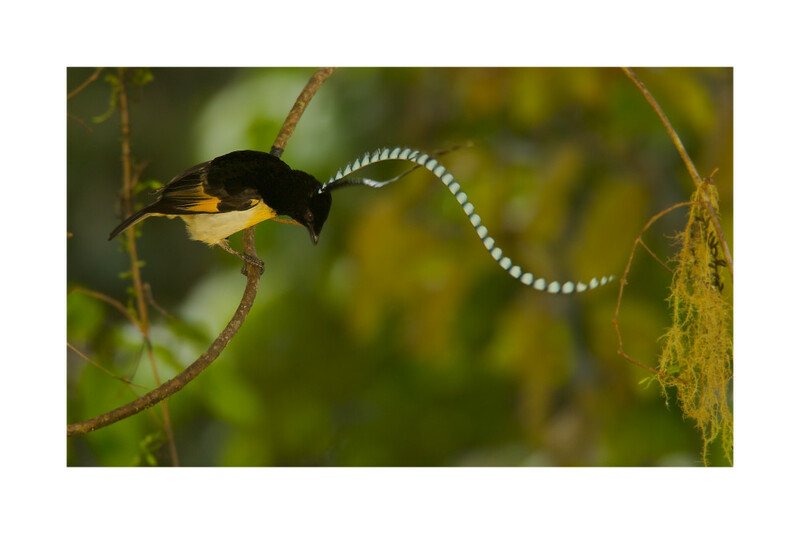 A male King-of-Saxony Bird-of-Paradise bounces on his chosen display vine, creating a wavy motion of his extraordinary head feathers. Enga Province, Papua New Guinea.